Klaus Kolb, 82, was raised in East Germany during WWII by a demanding but brilliant father and loving step-mother. He apprenticed and then became a journeyman as a machinery builder and studied engineering in East Germany until he escaped to West Germany via the Berlin Subway in 1955. There, he was an engineering design manager for an industrial air conditioning system business before emigrating to the U.S. in 1965 to become president of textile firms in South Carolina. In 1998, he founded Kolb’s Geodesic Dome Homes, and oversaw the design and construction of energy-efficient buildings in four countries. Now retired, he consults internationally about geodesic building construction, deciphers and translates Old German Script into English, and plays the accordion in two Brevard County Florida bands. At age 80, Kolb took up writing after attending a “Writing Your Life” class led by former Florida Today reporter Linda Jump. He and his wife Brigitte live on Merritt Island, Florida. He plans to complete more books in his Twelve Flags series documenting his life’s story. He can be reached at 321-987-1136. 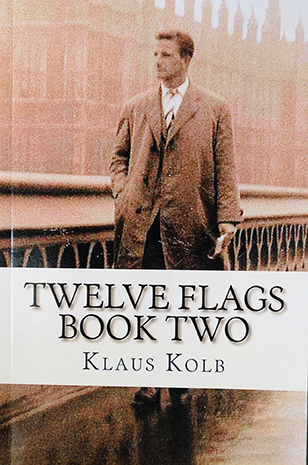 Twelve Flags, Book Two opens with the occupying Communist forces in East Germany taking his father away and the government confiscating their home and his father’s personal possessions. 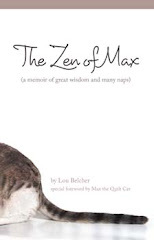 Kolb, his step-mother and two younger sisters move into his grandmother’s apartment that is already crowded because his Oma was forced by the government to share her space with a Silesian refugee couple. The five survive on CARE packages, Oma’s tiny pension and his mother’s meager pay as a court stenographer. Kolb attends mechanical school and earns a scholarship to engineering school. He discovers his musical talents as he comes of age, but his partying with the band has consequences. When his father is finally released from prison, the two of them must make a hard decision that could leave the women in his life defenseless.